Living a Fit and Full Life: Le Mieux Skin Perfecter Gives you Perfect Skin in Days and a Few Favorites from Le Mieux' Skincare Line! Le Mieux Skin Perfecter Gives you Perfect Skin in Days and a Few Favorites from Le Mieux' Skincare Line! Deep within is beautiful, younger skin waiting to be revealed. The Skin Perfecter transcends ordinary cleansing by combining four skin-perfecting treatments into one ultrasonic, handheld beauty tool. Professional strength ultrasonic waves gently cleanse, exfoliate, extract, and infuse to reveal smoother, brighter, and perfect-looking skin. Micro-massage action provides 28,000 ultrasonic vibrations per second to gently cleanse, tone, and stimulate the skin while accelerating the absorption of serums and gels, and other water-based products. In fact, any skincare product that is not oil-based will provide better results with the Skin Perfecter. Plus, the Skin Perfecter is easy to use and never requires brushes, cartridges, or discs. Anti-aging, peptide-infused emulsion intensely moisturizes and reduces the appearance of fine lines and wrinkles. Lightweight formula leaves skin soft, smooth, and glowing. Skin-perfecting, brightening toner visibly illuminates dullness, minimizes dark spots, and balances uneven skin tone. Ideal for helping brighten and balance skin with uneven pigmentation. Features deeply hydrating hyaluronic acid, the master antioxidant glutathione, and brightening botanical extracts including licorice root, bearberry, and papaya to visibly help restore a radiant complexion. Brightening facial wash gently removes surface impurities, leaving skin fresh, soft, and glowing. Ideal for brightening and balancing skin with uneven pigmentation. Features skin-perfecting mandelic acid, the master antioxidant glutathione, and licorice root, bearberry, and papaya extracts to boost clarity and radiance, while aromas of bergamot and neroli refresh the senses. The Le Mieux Skin Perfecter Gives you Perfect Skin in Days! If you know me you know I'm a huge fan of beauty products especially ones that actually do what they promise. 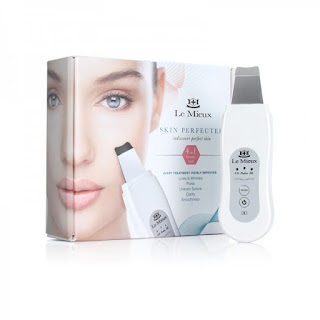 The Le Mieux Skin Perfecter is an ultrasonic, handheld beauty tool that provides professional strength ultrasonic waves to gently cleanse, exfoliate, extract, and infuse to reveal smoother, brighter, and perfect-looking skin. The Le Mieux Skin Perfecter provides micro-massage action providing 28,000 ultrasonic vibrations per second to gently cleanse, tone, and stimulate the skin while accelerating the absorption of serums and gels, and other water-based products. I know I spend a lot of money on serums and I expect them to work but did you know if your skin isn't clean, healthy and exfoliated properly most serums can't work efficiently. Within days of using The Le Mieux Skin Perfecter my blackheads vanished and my skin looked incredibly vibrant and healthy, so much so that I had a few people ask me if I was pregnant because they said my skin was glowing. Well, I'm definitely not pregnant but my skin does look pretty incredibly at the moment thanks to the Le Mieux' Skin Perfecter. My pores are much smaller and my makeup glides on with ease because my skin is incredibly healthy. Then, there's Le Mieux' Brightening Cleanser, Toner and Essence Moisturizer! Le Mieux' Brightening Cleanser is incredibly gently but removes every trace of makeup with ease. It smells wonderful and features so many wonderful ingredients to brightening and balance skin. I have a dark spot on the side of my chin that seems to darken as I age but since I've been using Le Mieux' Brightening Cleanser, Toner and Essence Moisturizer it has almost vanished. Le Mieux' Brightening Toner isn't what I'm normally used to because my normal toner seems to strip my skin and dry it out. With Le Mieux' Brightening Toner my skin seemed hydrated and never felt tight or itchy. Le Mieux' Essence Moisturizer is incredibly hydrating but is also lightweight which I love. I really dislike heavy moisturizers and I think my skin does as well because it seems to break out if my moisturizer is to heavy. With Le Mieux' Essence Moisturizer my skin never broke out and I absolutely love how soft and smooth it made my skin. Le Mieux Skin Perfecter is absolutely amazing and I'm now a huge fan of Le Mieux' Brightening Cleanser, Toner and Essence Moisturizer and highly recommend them! Click HERE to purchase the Le Mieux Skin Perfecter! 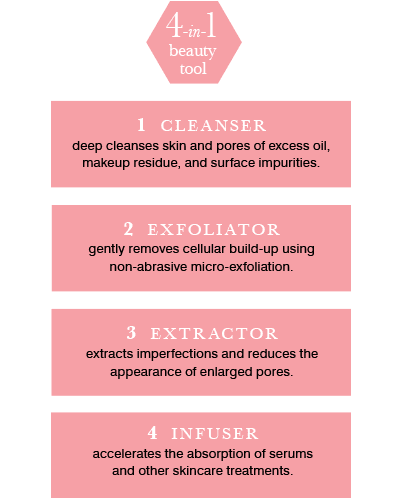 To learn more about The Le Mieux Skin Perfecter click HERE or call (888) 327-8188! 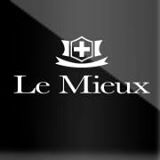 Click HERE to purchase Le Mieux skincare products or call (626) 962-1234 and Le Mieux will locate an authorized distributor or retailer in your area that you can purchase from! Follow Le Mieux Skin Perfecter on social media!